Has Scotland suffered from colonial oppression by England for the last 300 years? While historiography may give an answer in the negative, this study reveals that the contemporary Scottish novel is haunted by strong feelings, marked by perceptions of abjection and inferiorisation in response to constructing the English as dominating.Drawing from an unprecedented corpus of contemporary Scottish novels, this study explores the postcolonial in Scottish fiction in order to investigate the underlying discursive power relations that shape the Scottish literary imagination. 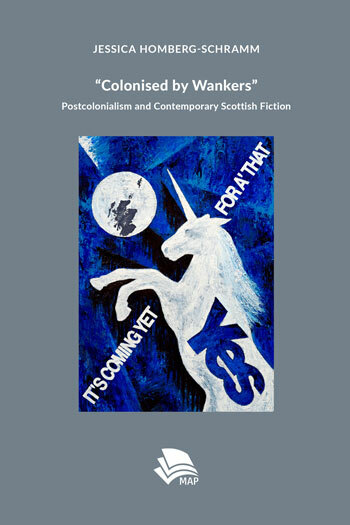 The study consequently demonstrates that the analysis of Scottish national identity profits from this new angle of interpretation of the Scottish novel as postcolonial. The analysis of discourses such as those of gender, class, space and place, and race reveals how the construction of the Scottish as marginalised permeates the width of the contemporary Scottish novel, by referring to diverse examples, such as James Kelman’s How late it was, how late or genre fiction such as Ian Rankin’s Set in Darkness. Thus, this study provides an insightful reading in the wake of current political developments such as the Scottish independence referendum. Jessica Homberg-Schramm studied at the University of Cologne and Durham University. After a stay at Murray Edwards College at the University of Cambridge, she worked as a research assistant at the University of Cologne. Her teaching and research focuses on 20th- and 21st-century literature. Hunger is a contentious theme in modernist literature, and this study addresses its relevance in the works of four major American and European writers. 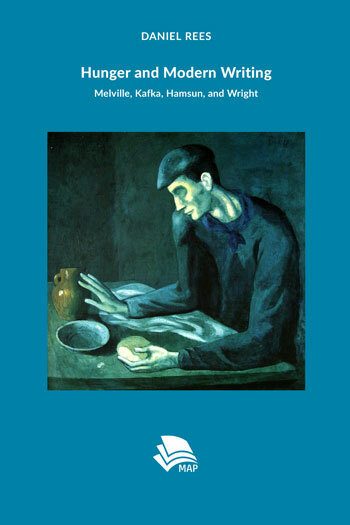 Taking an in-depth look at works by Melville, Kafka, Hamsun, and Wright, it argues that hunger is deeply involved with concepts of modernity and modern literature. Exploring how it is bound up with the writer’s role in modern society this study draws on two conflicting and complex views of hunger: the first is material, relating to the body as a physical entity that has a material existence in reality. Hunger, in this sense, is a physiological process that affects the body as a result of the need for food, the lack of which can lead to discomfort, listlessness, and eventually death. The second view is that of hunger as an appetite of the mind, the kind of hunger for immaterial things that is associated with an individual’s desire for a new form of knowledge, sentiment, or a different way of perceiving the reality of the world. By discussing the selected authors’ conceptualization of hunger as both desire and absence of desire, or as both a creative and a destructive force, it examines how it has influenced literary representations of modern life. This study then offers a focused approach to a broad field of inquiry and presents analyses that address a variety of critical perspectives on hunger and modern literature. Daniel Rees completed his PhD in American and Comparative Literature at the Ludwig Maximilian University of Munich. His research interests include Anglo-American and European literature of the modern period. He has worked as a freelance editor and translator since 2004 and contributed publications to the e-journal Current Objectives of Postgraduate American Studies and Orchid Press. Diese Webseite wird betrieben von Ubiquity Press Limited, eingetragen in England und Wales mit der Firmennummer 06677886.